Eric Lafforgue/Art In All Of Us/Corbis via Getty ImagesA boat docked in the bay near the Jazan Port in Saudi Arabia on January 14, 2010. Drone boats filled with explosives have reportedly been used to launch attacks against Saudi Arabia at sea. On Sunday, the Saudi Royal Navy said it intercepted two boats laden with explosives travelling toward the country’s major port of Jazan, located north of Yemen. And on Tuesday, Saudi border guards said they rescued a Saudi fishing boat that came under fire from unknown attackers while in Gulf waters. Experts have expressed concern over the Yemeni rebel group having access to this remote type of weaponry. Drone-controlled boats filled with explosives were reportedly used in at least one attempted attack on Saudi Arabia this week. Colonel Turki Al-Maliki, the spokesman for the Arab coalition in Yemen, claimed that the Saudi Royal Navy intercepted two boats laden with explosives travelling toward the major port of Jazan, directly north of the country’s border with Yemen. Al-Malaki said the Navy spotted two boats approaching the port on Sunday morning that appeared to be remotely controlled. The boats, reportedly operated by the Houthi group in Yemen, were destroyed and caused only minor material damage. 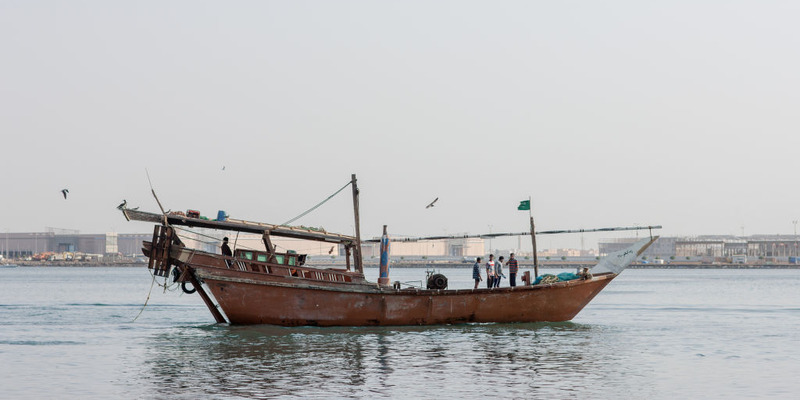 On Tuesday, Saudi border guards said they rescued a Saudi fishing boat that came under fire from unknown attackers while in Gulf waters, according to Al Arabiya. Border guards said that three fishermen on board were being treated for injuries, and an investigation into the origin of attack was underway. Over the last year, regional forces reportedly intercepted several drone boat attacks. In January 2017, Houthi forces struck a Saudi warship using a remote-controlled boat. And in April 2017, Houthi forces attempted to blow up a Saudi Aramco fuel terminal and distribution station in Jazan using a high-speed boat rigged with explosives. Vice Adm. Kevin Donegan, commander of the Bahrain-based US Fifth Fleet, told Defence News last year that there is concern over the Yemeni rebel group having access to this remote type of weaponry. “That’s not an easy thing to develop,” he said. “There’s clearly support there coming from others, so that’s problematic,” pointing to production support of the mobile weapons by Iran. He added that explosive boats create a new category of self-destructive attacks.